When you read this days the news more and more the thought comes up, that a new „Adolf Hitler“ is born named Erdogan. On one site he call the Germans „Nazis“ on the other hand he’s on the best way to create his own dictatorship. How can a men call others „Nazi“ when he oppress the opposition, treat human rights with his feet and in his own country the press freedom never more exist? He expect from the Germans the freedom of speech but don’t allow it in Turkey. How that works together? Since Mrs Merkel made a deal about the refugees with Erdogan I’m sure she made a deal with the devil! Since that we are able to be blackmailed by the Turkey government and that Mr Erdogan shamelessly exploit. 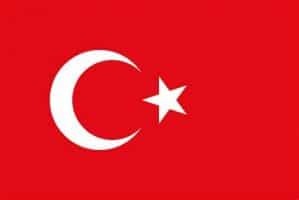 It will be time that the European people stand upfront build a opposition against Mr Erdogan and his plans to build a wall against Anarchy and dictatorship. Also the German government has to stand up and clearly tell Mr Erdogan that Germany isn’t his political platform and also if he think he can do what he wants that this isn’t fact. Since the last days and how more I read about it I can understand more and more as Adolf Hitler came to power, because the people all over Europe walk like the sheep to the slaughter. Nobody say anything till it is to late. So right now in this difficult times we need again people like „Die Weiße Rose“, „Edelweißpiraten“ or „Claus Schenk Graf von Stauffenberg“ to stop Erdogan because like it seems our politicians are not able to stand up and facing him. It is really miserable as our politicians duck under the cover of diplomacy and the opinion of the people on the outside. This was my 5ct to the actual disaster in Turkey and what I really think about the dictator Mr Erdogan. ⟵Why refugee ask always the wrong question?